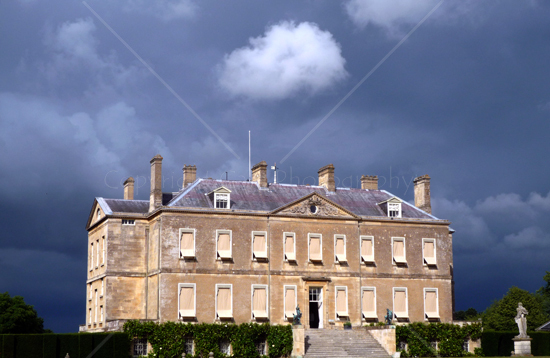 Just updated my photography training calendar with some new Photo Treks at Buscot Park near Faringdon. You can get more info and book your place here. Continuing to learn is especially important in creative photography because there are so many different subject areas and photographic styles, not to mention the changes in technology. I try to continuously develop my own photography and, as today is my birthday, it’s time for a bit of reflection on some of the things I’ve learnt in the past year. 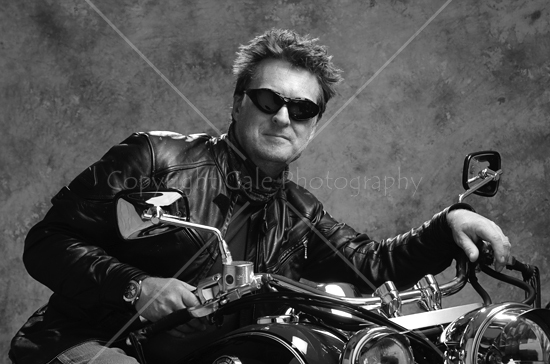 This shot, from an advanced studio photography course I attended, shows that sometimes you need lots of lights to get a great shot. The person was lit with just 2 lights, it was the bike that was the challenge. It was lit by light reflecting off a large white sheet that was itself lit with 5 lights. This technique gave a better quality of illumination on the bike’s shiny surfaces, and I’m using it in my commissioned work for clients. Digital photography involves the use of computers, and these days keeping up to date with developments in image editing software is vital. 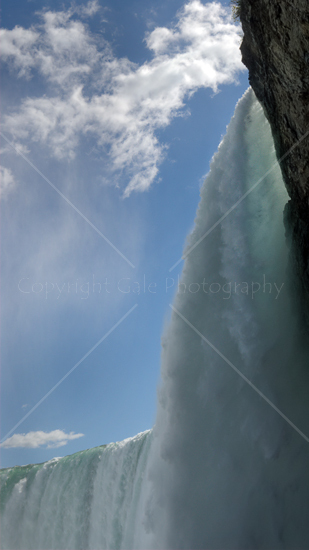 I was happy with the composition of this shot of Niagara Falls from below, after all my “The Creative Eye” course includes sections on composition, but I wanted to add a bit more punch to the image. I used the latest version of Adobe Photoshop to make a High Dynamic Range (HDR) image from a single RAW file. It’s a technique I learned this year, and it’s great for giving more detail in the shadow areas while keeping the highlight detail. Setting yourself photographic challenges is a great way to learn, and this year I challenged myself to take as many creative images as I could in 30 minutes. I blogged about this previously, and this is another image from that shoot. 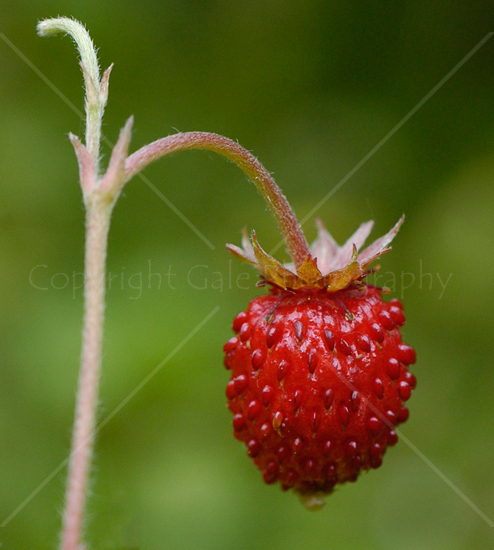 A simple shot of a wild strawberry taken with a 50mm Sigma macro lens. Getting effective simple shots takes a lot of practice. Pushing the boundaries of your cameras is also a great way to learn. I use a Lumix FX-500 digital compact camera, and it’s a great photographic tool. It has a surprising close-up ability, and by experimenting I’ve found that it’s ideal for close up portraits. 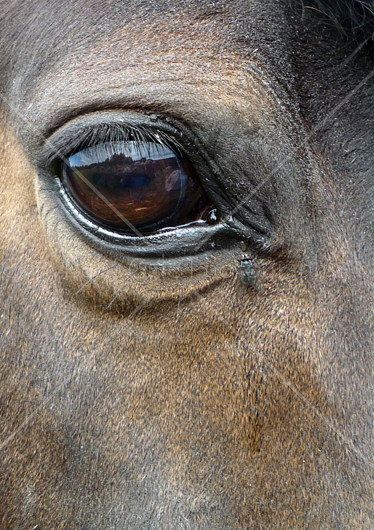 This shot, of a horse’s eye, shows that you don’t need to show the whole of the face to show the subject well. To me there’s a sadness in there. This year I’ve also been inspired by other photographers’ work, and by other works of art. We can learn so much by looking at paintings, sculpture (and the way it’s displayed), architecture, film and TV. The newly revised Ashmolean museum in Oxford is fabulous, and I loved the way this sculpture was silhouetted against the sun on the window blinds. Sometimes by being a photographer we learn things about subjects other than photography. I saw these through a “potting shed” window in the grounds of Chastleton House in Oxfordshire. At first glance they looked like eggs, although I did wonder why eggs would be there. 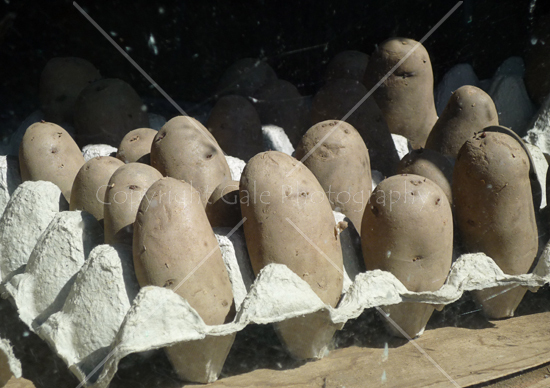 They are in fact potatoes, and they are getting a good start to growing by being left in the sun for a while. They did look as if they were sunbathing! If my learning this year has inspired you to learn then my “The Creative Eye” course could be ideal. The next course is on Sat 13th Nov 2010 at the Court Hill Centre near Wantage. Online sales have ended, but you can still book by calling 01793 783859. Once again I’m pleased to report a successful Photo Trek at Buscot Park. It was last weekend and we had a “full house”. 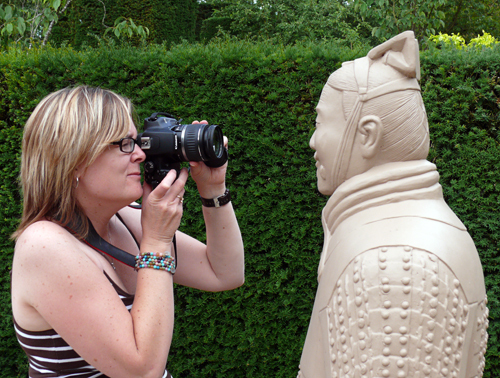 These photographic training events are great fun, and Buscot Park is a perfect venue for them. 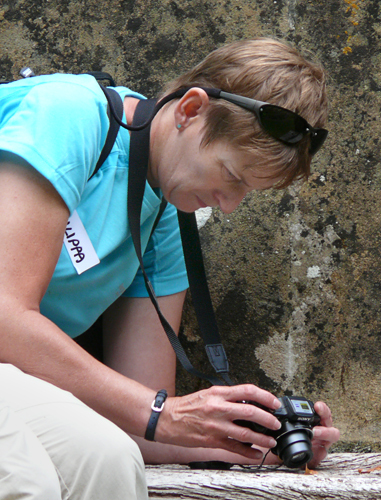 The group was terrific, with a wide range of photographic experience, and equipment ranging from a digital compact camera, to a digital SLR and lots of lenses. I assigned everyone their afternoon’s photographic projects, and we were off. Once again, we started under the trees near the garden entrance. The exercise we do here is great for breaking the ice. It gets everyone off the “Fully Automatic” setting, and shows them the freedom that digital cameras give you. 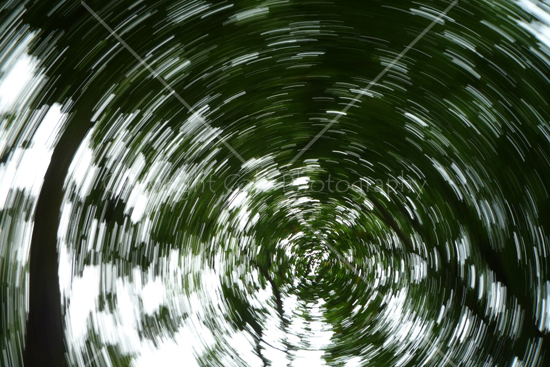 The rapid camera movement I’ve used here made for a fabulous off-centre swirl. It has to be said that the weather at this Buscot Park Photo Trek wasn’t as good as it has been previously. The relatively bright sky made the exposure compensation exercise even more important. With this image of the garden entrance I tried to get as little of the sky in the shot as possible. Even though I did that, I had to use some positive Exposure Compensation to get the details right in the stonework. 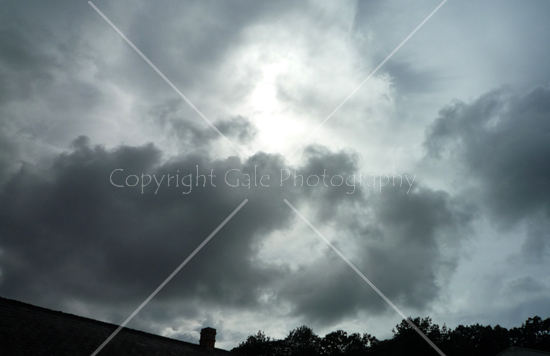 Moving through to the walled garden, the sky was looking very threatening. It was great for photography, as the light was changing all the time. We had a really good discussion about exposure, and one delegate was dressed perfectly, in white and black, to demonstrate the fact that meters always want to turn things mid-grey. The delegates loved the terracotta warriors. The sun came out as we reached them and it gave a really good range of light angles on the faces of the warriors. They are very easy to photograph; they don’t move and never get bored with modelling! …and then it rained. Luckily it was nearly the end of the Trek, so we sheltered under a handy tree and looked at everyone’s project images. There were some stunning shots, and everyone had produced something they were pleased with. A quick look back down the famous water garden, and another Buscot Photo Trek was over. It was our last Trek there for this year, but we hope to run some more next year, so keep checking our website for details, or sign up to our e-mail newsletter and we’ll keep you informed. 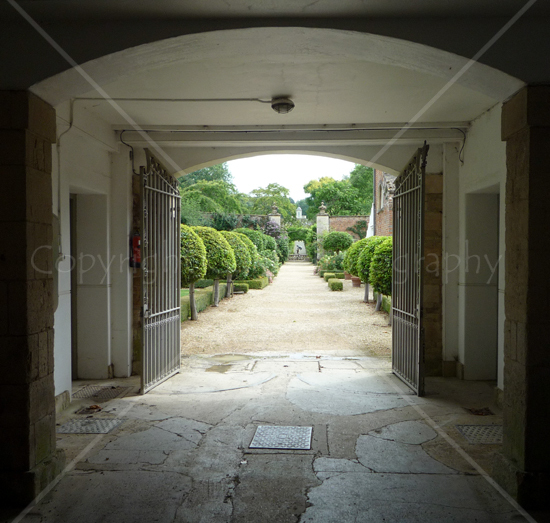 It was easy to choose a subject for this week’s blog post; last week’s Photo Trek at Buscot Park. We were at Buscot Park near Faringdon again, courtesy of Lord Faringdon, and it all came together very well. The weather, the location, and most importantly the Trek delegates, were excellent. They had a wide range of camera types, and a wide range of photographic experience. Just before the Trek started I found a nice bit of wobbly glass and took an abstract image with my trusty Panasonic Lumix FX-500. To find out where it was taken you’ll have to visit Buscot Park for yourselves. We started our Photo Trek near the Ticket Office, assigned the delegates their photographic projects for the afternoon, and moved on to a clump of trees nearby. Even on a bright sunny day like last Saturday it’s a great place to learn about the use of long shutter speeds and camera movement. It’s also chance for the delegates to gain the confidence to move the camera off the fully automatic settings. 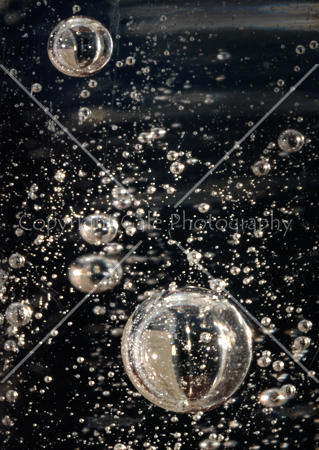 We had great fun with camera movement, subject movement and combining them with flash. 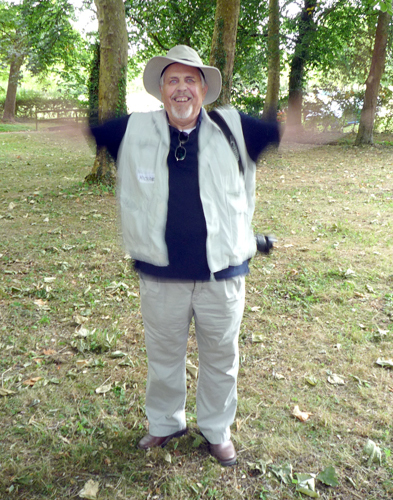 Here’s one of the delegates with invisible arms! It was taken with a long shutter speed as he was waving his arms up and down. There’s a little pop of flash as well to give some light in his eyes. Our next port of call was the Four Seasons Walled Garden. It was full of colour and texture, and the sea hollies were a particular feature. The wind was quite strong which helped the delegates to learn about the challenges of close-up plant photography, as a lot of the plants were moving around quite a lot. The sea hollies are very useful to show the changes that occur as a subject is viewed with the light falling directly onto it, or shining from behind it. 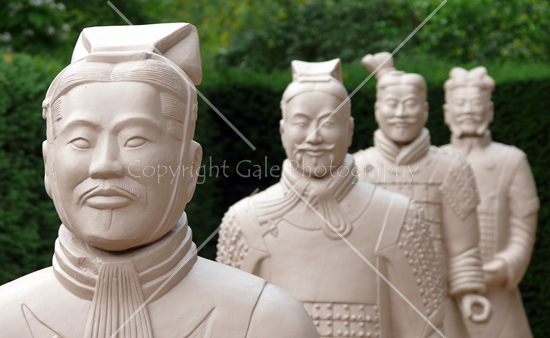 A new feature of the gardens at Buscot this year is the small army of terracotta warriors. They were a real hit with the group, as they allow practice at portrait photography, pattern pictures, and control of the depth of field. 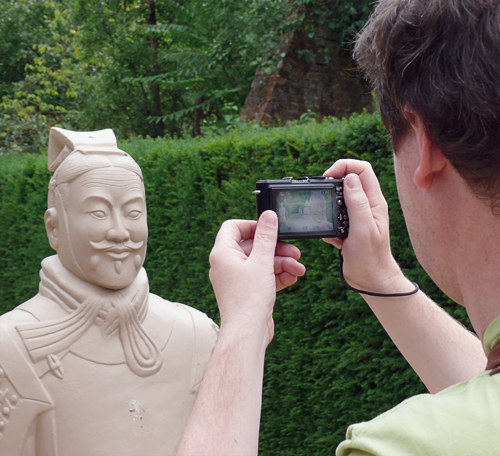 .. and here’s another delegate getting “up close and personal” with another terracotta warrior. 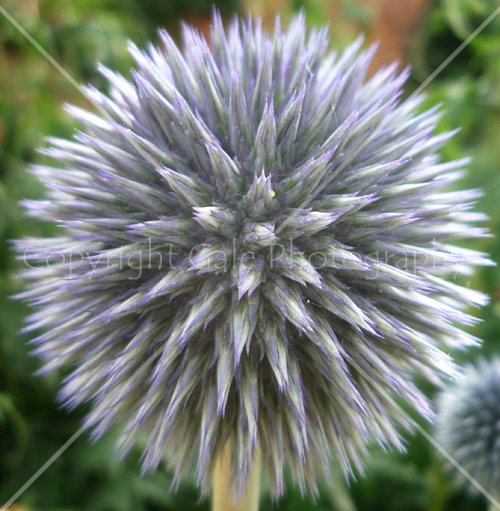 This what I meant about pattern pictures, and control of the depth of field. The front warrior is nicely sharp, and the others in the background are becoming less and less sharp. As mentioned previously, the delegates each had a photographic project during the afternoon. The project here was “Red”. It really shows just how close some digital compact cameras will focus – there is a red leaf on the wooden bench. 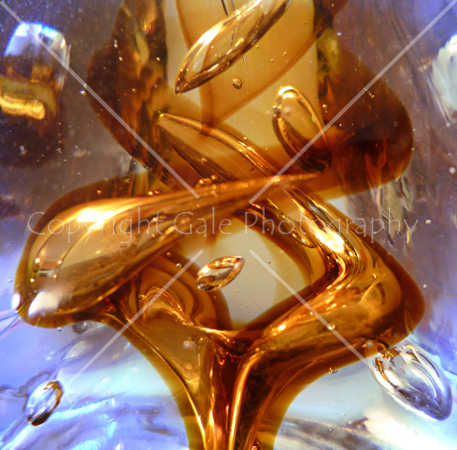 This macro focusing ability opens up a wealth of creative photography opportunities. 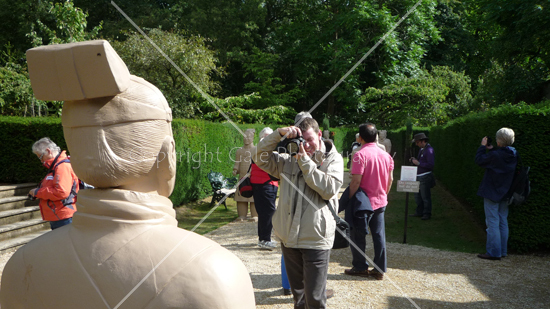 You can see the image being taken here, and other images taken by the Buscot Park Photo Trek delegates on my website. All too soon we had to return to the start point as our time at Buscot was up. I’d had a great afternoon, and so, according to their feedback, had the delegates. 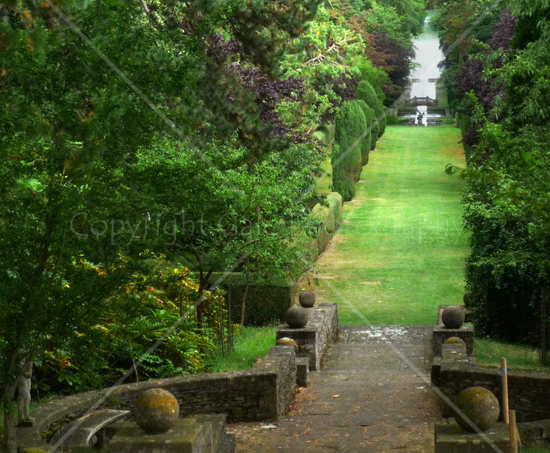 We’re back at Buscot Park for another Photo Trek on Aug 14th. It’s fully booked, but there’s space on our 1-day Photo Trek on the Ridgeway near Wantage on July 31st. Loads of chances for great landscape images. I’m running a Photo Trek at Buscot Park this weekend, so this morning, to get into the swing of things, I set myself a little challenge. It was to take as many creative images as I could in just 30 minutes. 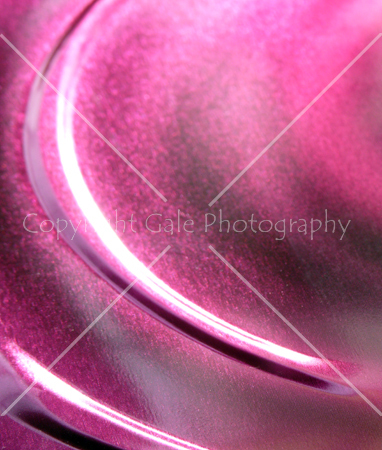 To give myself the best chance I chose a very versatile lens; a Sigma 50mm f2.8 EX macro. This lens focuses really closely, and at its maximum aperture it has a very shallow depth of field, allowing you to be very selective about which part of the image is in focus. It’s great for the simple images that I love taking. 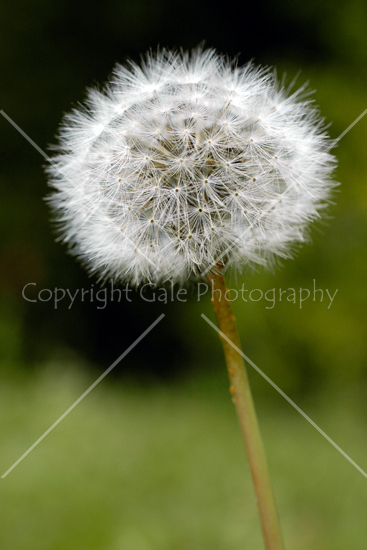 This shot of a dandelion shows that very well. Just part of the flower is sharp and the rest, including the background, is nicely out of focus. The sky was cloudy when I took the image, with a lovely diffuse light, making it easy to keep the highlights under control. This image is highly relevant to the village I live in, as there’s a wind farm here. 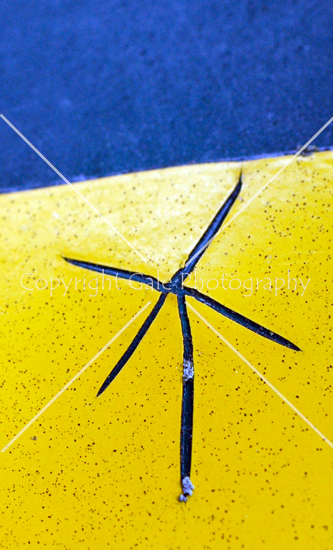 What it seems to show is a child’s drawing of a wind turbine, in a yellow field, against a blue sky. It’s actually some cracked paint on the yellow arrow of a “Footpath” sign. I loved the contrast of the colours, and the fact that there’s some little tiny pieces of lichen growing in the cracks. This image is a bit more complicated. 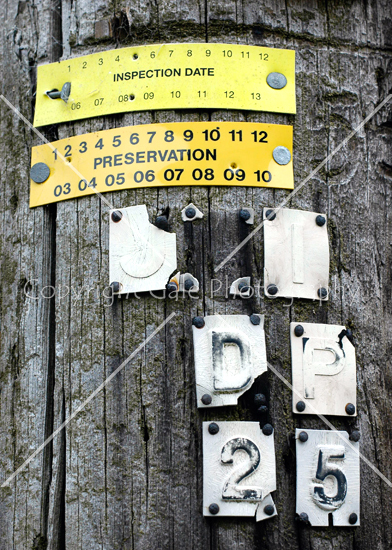 I’m amazed at just how much information telegraph poles have on them these days. There are labels all over them, and as this one is shared with the electricity supply there’s also a big “Danger of Death” sign. I loved the way the nail in the top sign was bent over when it was put in, the fact that nothing quite lines up, and the decaying state of the letter and number labels in the bottom half of the frame. What do all these labels mean? This shot tells a story. At the end of the street there’s a black and white post with red and white reflectors on it. It’s to protect a household gas pressure-reduction valve which is in a big green box. A few years ago someone drove over the box, and broke the valve completely off. The resulting gas leak was very noisy, and they were lucky it didn’t catch fire. The post is there to stop it happening again. 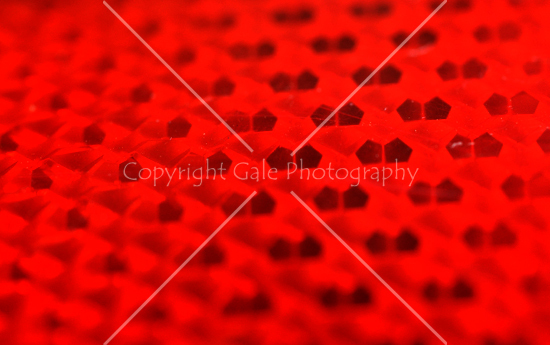 The image, of the red reflector, shows just how much control over the in-focus areas the macro lens gives you, and how getting in close can produce great pattern images. With this final image, of a clematis “Montana” plant with lovely purple flowers, I used a long shutter speed (1/5 of a second), and moved the camera during the exposure. 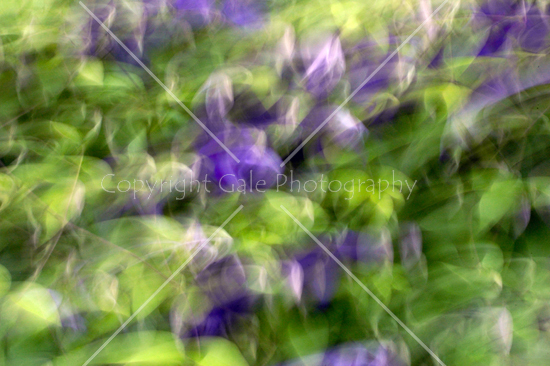 The blurry mixture of purple and green has given a sort of “Wimbledon” feel to this abstract image. So, there’s a selection of my 30-minute challenge images; I took lots more. Why not set yourself a challenge, and see what you can produce? PS There’s a few places left on my Buscot Park Photo Trek on July 10th. Call me on 01793 783859 to book. In essence, photography is all about recording the light reflecting from surfaces. If nothing was reflected then we wouldn’t be able to record anything of the people we meet, the places we go to, and the things we see. In this post I’ll show you how you can get interesting, creative images by using the numerous highly-reflective surfaces in the world around you. 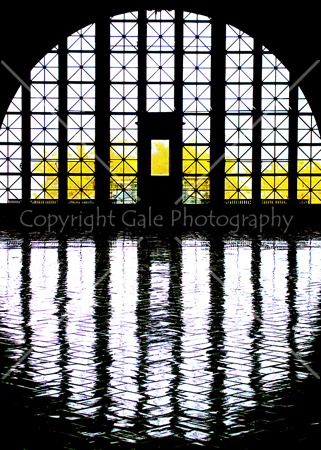 In this first image, of Ellis Island in New York, I noticed how the shape of the window was reflected in the shiny floor, and that the pattern of the floor tiles mimicked the pattern of the windows. I was able to use the shiny floor to make the overall photographic composition symmetrical, yet keep the areas of colour off centre. 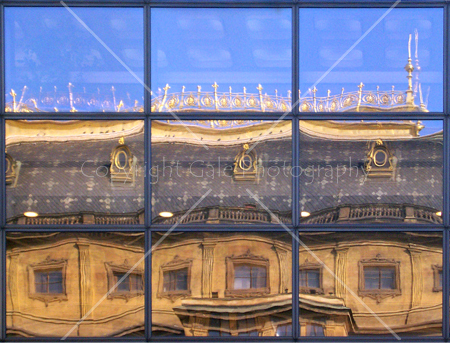 This image, taken in Prague, shows how you can mix the old and the new in one image. The new office building had partly mirrored windows, so that the older building opposite was nicely reflected in them. I chose a viewpoint that let me divide up the image into a 3×3 grid, with the sky in the top set of three windows, the roof in the middle set of three, and the front of the building in the bottom set of three. It’s one way to use the so-called “Rule of Thirds“. The whole image looks a bit like one of those puzzles that you have to rearrange by sliding the sections around. 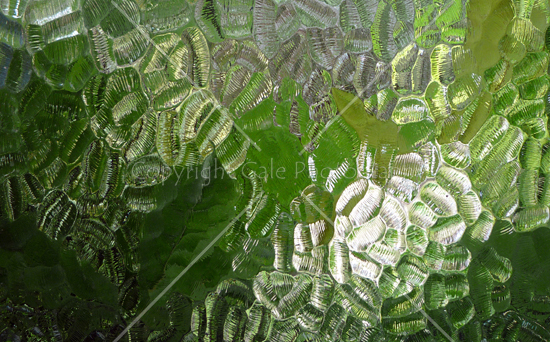 One great feature of reflective surfaces is that they can often distort the subject that’s reflected. 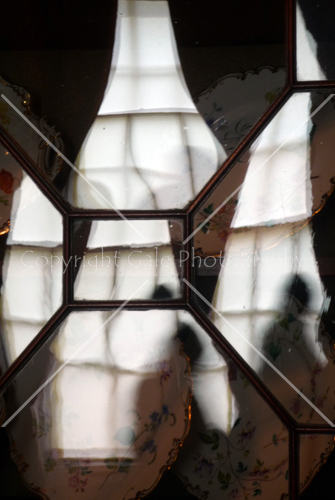 Here I’ve used the multiple glass panels of a display cabinet in Lydiard House, Swindon, to make an image that shows a distorted reflection of the window in front of it, and the person passing. Each panel is set at a slightly different angle, so they each show a slightly different viewpoint, and the old glass is quite wobbly, so the reflection gets broken up. Finally, I’ve used a shiny curved surface that was reflecting a common object, to produce an abstract image that’s not really anything to do with the original subjects. The shiny curved surface was the highly-polished front wing of a friend’s red Mini (she does look after it very well! ), and the common object that was reflected was a fence panel. 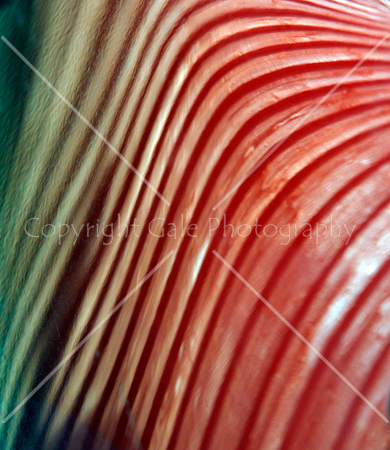 So, you can see that the world is full of surfaces that can help you with your creative photography. I cover this, and many other things, in my “The Creative Eye” workshops. Why not come along to one? Get the RSS feed from our blog.